With a flavorful vanilla taste, a custard slice can perfectly compliment the bitter taste of coffee. A coffee bar in Texas and coffee shops in other areas have different varieties of this delicacy. Some might add a touch of Nutella, coffee layer, or icing. You just have to explore and find the perfect one to suit your taste. Meringue is a treat in itself, as much as a pie. Hence, a combination of these two favorite sweet treat is indeed a luxury. Pair this up with plain brewed cup of brew, and you’re still going to enjoy a great snack time. Grab your slice at a top-rated coffee and dessert bar in Texas, and you’ll surely keep coming for more. If you’re into something healthy and indulgent to pair up with your coffee, carrot cake is certainly your best bet. Made of real carrots, you can rely on this dessert to give you your daily dose of vitamins A, C, and B-6. 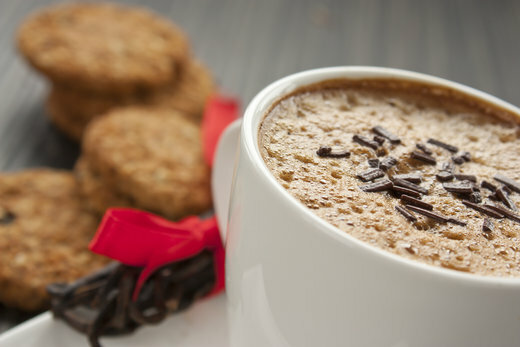 If you’ve chosen a creamy cup of coffee, it would be good to pair it up with chocolate cookies. You can choose from a lot of variations of chocolate cookies, including those with hazelnut, peanut butter, oats, and raisins. Cookies, pastries, and coffee are certainly the trio to go to after a long day at work or school. At Decadent Dessert Bar, we aim to serve the best coffee and dessert in town to help customers de-stress. Visit us with your your friends to have a long enjoyable talk over a slice of cake and a cup of brewed coffee. This entry was posted in Coffee and tagged Blended Coffee, Delightful Desserts, Refreshing Drinks. Bookmark the permalink.